WHAT CAN NORTHLINK SERVICES DO FOR YOUR FACILITIES? Northlink Services provides fast emergency and routine response with 24/7 dispatching service keeping your sites safe and secure around the clock. We repair everything from Roof to Parking Lot and everything in between. We also provide Tenant Improvement services. We specialize in Government Facilities Services. We facilitate all types of repairs and installations no matter the Trade by providing complete and thorough assessments, accurate trouble shooting, expedited pricing, scheduling and repairs including comprehensive Project Management from start to finish. Facility Assessments and Maintenance Plans for all of your building systems will increase service life and reliability. Complete Air Conditioning & Heating Systems, Water Towers, Chillers, AHU’s, Water Heaters and any Plumbing Repairs. Emergency Backup Power, Facility Lighting, Switchgear and Panel Repairs, Charging Systems, FLS, and Access Control. Emergency or Routine Repairs of Dock Levelers, Lifts, Impact Doors, Store Front Systems, Glass Repairs and Board Up’s. 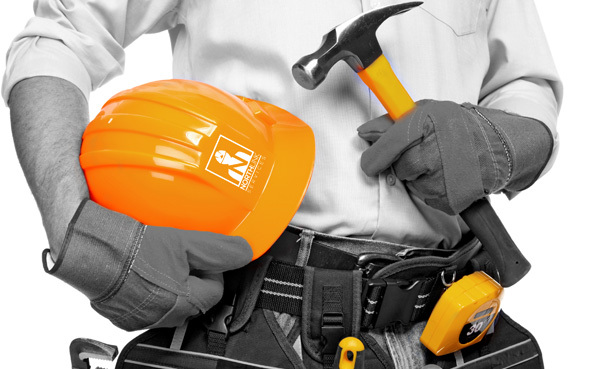 Emergency cleanup, hazardous material abatement, water damage, carpentry, drywall, concrete, painting, parking lot maintenance, roofing repairs, gutters, drainage systems, sump pumps, grading, temporary services, bathroom remodels, access control, fire alarm panels, elevators, lift equipment and crane repairs, compressor and emergency backup power equipment repairs. We love what we do! Our Team has well over 25 years of experience facilitating commercial and industrial building and site repairs so you can rest assured nothing is beyond our capabilities. We understand the critical nature of our work and we All take Great Pride in what we do. Our Team understands what it takes to do the job right the first time. We each strive to deliver customer satisfaction which is second to none by exceeding the expectations of our clients every time! Our effective communication skills and unique management process will leave you confident and secure in our ability to serve your needs over and over again.